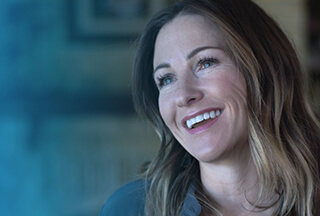 Channel Compliance Lead at Dell Inc.
Dell provides the technology that transforms the way we all work and live. But we are more than a technology company — we are a people company. We inspire, challenge and respect every one of our over 100,000 employees. We also provide them with unparalleled growth and development opportunities. We can’t wait for you to discover this for yourself. The main responsibility of the Channel Governance & Compliance Consultant is: He or she would work closely with the Trade Compliance and Global Audit Teams to evaluate and implement improvements on Partner’s overall Processes & Controls to ensure Partners comply with Dell’s Business Code of Conduct, Regulations, Ethics and Laws. Proactively reviewing & enhancing the South Asia Channel Partner’s Processes and Compliance Controls. Work with country key business stakeholders, to interlock and align Channels Governance Rules and policy, and deliver training to sales team. Lead end to end leakage governance process. Recommendation of possible action (policy/procedure/ROE update, conflicts resolution, process improvement, partner/sales violation & penalty). Handle Inter-segment escalations for both “in country” and “cross country”. Communicate with sales and partner, conduct fact-finding legwork investigation, and provide effective proposal to management team in time. Regular planning review and Quarterly interlock with business key stakeholders to review & refresh leakage governance policy & matrix. Interacts with executives and/or major Partners, generally involving controversial situations, partner’s negotiations, or influencing and persuading other senior level leaders. Develop innovative solutions, systems and processes to support Dell’s objectives. Reaches out to support and collaborate with other business functions. Provides, consultation, influence decisions, identify and resolve critical issues. Represent area of professional and/or technical expertise for Dell externally. Prerequisite Degree or Master in Business Studies, Marketing, Finance, or a related professional qualification; MBA Preferred. 10 years working experience with minimum 3 years of related experience. Possess strong business operations, analytical skills and Channel business acumen. Ability to deal with ambiguity and work effectively in uncertain situations. Excel in Project Management Skills (PMP preferred). Good written/spoken English, effective communication skills. Other attributes successful for the role include being results driven, proactive, channel partner focused and thrive in fast paced business environment.